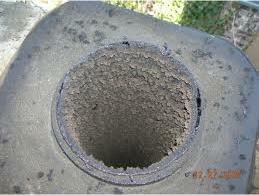 Of the estimated 25,000 chimney related fires in the US, creosote is the culprit. Creosote is a highly flammable byproduct produced from burning wood. 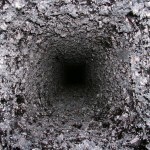 As smoke exits your chimney it carries particles with it that cling to the walls of your chimney, cool and then harden into various forms of creosote. We could go into more details on the various forms of creosote from wood-tar creosote, coal-tar creosote, oil-tar creosote, water-gas-tar creosote, lignite-tar creosote, peat-tar creosote and all the many uses and health concerns in medical and industrial fields; however, we will leave all those details to a great resource called Wikipedia. Now as far as your chimney is concerned, burning wood and fossil fuels at low temperatures cause an incomplete combustion of oils that are in the wood. 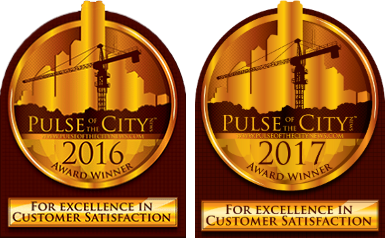 When the wood or fossil fuel (natural gas in most cases) burn the smoke will obviously rise through the chimney (hopefully… and if not, you should probably call us) and it cools which causes water, carbon and volatiles to condense on the inside surfaces of the chimney flue. Now, the black oily residue that most see when they have a creosote problem is creosote. The black oily creosote is similar to the commercial products by the same name, however the creosote in the chimney has a higher content of carbon black. 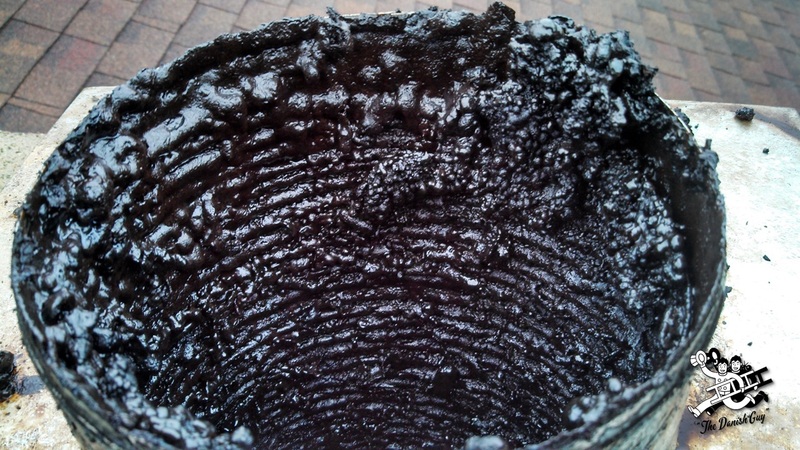 Over the seasons of burning coal, wood, or natural gas in your fireplace creosote deposits can grow to several inches thick if your chimney has never been cleaned or it has been many years since it’s been cleaned. 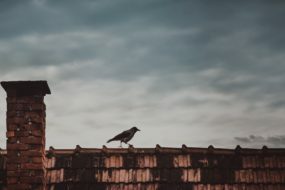 If the creosote in the chimney grows thicker and thicker and thicker, this creates a compounding problem because it reduces the draft/air-flow through the chimney causing a lack of air for a wood fire to burn at high temperatures. Furthermore, since creosote is a very highly combustible hazard, if not properly kept in check, the chances of a chimney fire increase dramatically. 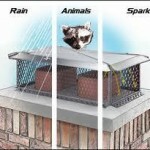 If a hot fire burning in either your fireplace or stove where the air control is left wide open allowing hot oxygen into the chimney – it’ll come into contact with creosote and ignite – causing a much larger and more expensive problem than if it would have simply been checked and cleaned regularly. According to the DHS in 2006, 75% of heating fires and 25% of all residential fires in the United States are cause by failure to clean the creosote buildup. 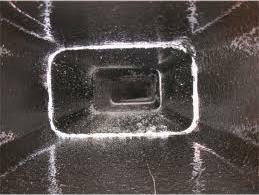 In the photo to the left, you can see how creosote can accumulate inside the chimney flue. This photo shows glazed creosote, the most dangerous form. It has a shiny, tar-like appearance.